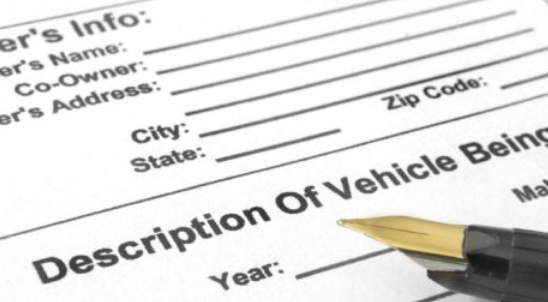 When you buy a vehicle from a dealer, they will handle all the required documentation on your behalf, including vehicle registration and titling. But if you buy it from a private entity, you will handle all the required paperwork yourself. Fortunately, handling paperwork yourself can be easier than when you involve a dealership. To transfer vehicle ownership into your name, you will need to apply for a title transfer. This exercise is usually simple. You must obtain a bill of sale from the seller. This paper contains your name, the seller’s name, vehicle purchase price, make, model and year. You will use this document when transferring vehicle ownership to you. To transfer the title, the seller should also fill and complete Form 130-U (Application for Texas Certificate of Title) and give it to you. Upon receiving this form, you must take it to your local Texas County Tax Assessor-Collectors office to initiate title transfer. You will have up to 30 days from the date of payment to do so. If the title is lost or missing, the seller must apply for a duplicate copy before selling the car to you. To do so, they will need to fill and submit an Application for Certified Copy of Title to the local County Tax Assessor-Collectors Office. If the owner of the vehicle is unknown and you wish to get a new title, you can apply for a bonded title. This means you must get a surety bond to reimburse the rightful owner if he comes forward later to claim the vehicle. You must also fill and complete the Statement of Fact supplement and a title application. If after three years of holding a bonded title there is nobody coming forward to claim the vehicle, you can then apply for a regular title. Do your homework well to find out what kind of car fits your budget and that merges well with your lifestyle. You can get reliable information on consumer reports, online forums, comparison guides and other magazines. Test-drive each car that you choose; to determine its comfort and functionality. Make sure you check the head space and leg room before making your decision. Once you decide the best car for you, get its vehicle history report. This report will help you determine the accident details, odometer readings and registration details of the vehicle that you selected. Have a registered mechanic inspect the vehicle to check if there are any damages or problems on it. A bill of sale is not required when registering or titling your newly purchased car. However, this document is required to keep on file. It can serve as proof of ownership if any question arises over the legality of ownership.